Alhamdulillah, in 2015, I had the opportunity to perform haj. Following are my thoughts and experiences of this life time journey. I am only putting these experiences in writing to prepare the future pilgrims to be physically and psychologically ready for this magnanimous experience. Before you go on haj, start practicing more of your patience. You need it in plenty while you are on this journey. Haj journey in itself will be long, tiring and difficult. You need your supply of patience to complete this journey. Whole Haj journey requires us to be patient but it's very easy for Hujjaj to loose their patience. Fights can break out over food, queuing for toilets and even mobile charging. We want to keep our mobiles charged so we can keep in contact with the world. We love to keep in touch with the world instead of being with Allah even during the days of Haj. Not everything will go according to your plans. You will have complaints about your transport, hotel accommodation, food and your hajj colleagues. Keep a cool temper, and control your tongue. Remember, Shaitan wants to ruin your haj reward. Don't let him win. I have realised that people come to Haj very unprepared. They are not aware of all the Haj rituals and the difficulty in performing them. When they get a taste of difficulty of performing Haj, they seem to be giving up on performing the rituals. For instance they were asking others to do rami on their behalf. They don't realise that they have to pay damm for missing rami themselves. People wanted to stay in the comfort of their hotels instead of staying in Mina according to Sunnah on 10, 11 &12 Dhul Haj. Haj operators make it worse for the Hujjaj by giving them incorrect Haj rulings and doing things what's in their best interest instead of making sure that Hujjaj can perform mistake free Haj. I have realised that Hujjaj do need a qualified scholar accompanying them who can guide them throughout this blessed journey. I was amazed by the government's arrangements in Mina. There was plenty of food and drinks available in the tents. Air conditioning made it easier to spend the time in the tents. There is plenty of food and drinks for everyone to indulge in. However, a lot of it goes to waste too. All the food is provided by the Saudi Moallam in Mina and Arafat. It goes without saying that if it was up to the Haj operators to provide food and specially drinks then we would see half of it. Specially drinks would be rationed out. So Alhamdulillah it has been delegated to the Hajj Moallam to provide them and it has been provided for abundantly (at least thats the case in European camps) Because food and drinks are provided freely, pilgrims over consume them, specially fizzy drinks. Almost everyone was coughing in our tent. The only time you will have to arrange for your own food and drink is when you are staying in Muzdalifah or travelling to Makkah or Mina from Muzdalifah. The stay in Arafat is in open tents without air conditioning. Some tents do have air conditioning. People must have paid more for that luxury. The day of Arafat will the most difficult day due to the hot weather. Hot weather plus affordability would push you to consume a lot of fizzy drinks. Please avoid them as much as you can. Fizzy drinks are not good for your health anyhow and specially at crucial time such as haj, you want to make sure that you remain in good health all the time. With cold fizzy drinks you could get cold, flue, sore throat and chest infection. Falling ill just before or during hajj will ruin your hajj experience. Look after your heath with good care. The best drink is zamzam. Even zamzam can be quite cold. Mix it with non-cold zamzam. In the Haram, non-cold zamzam drums are marked with blue "Not cold" writing on the top. Unfortunately I saw so many pilgrims in hajj ihram suffering from chest infection but still consuming cold fizzy drinks. What was worst for some was that their condition was so severe that they had to wear face mask during their hajj ihram. Under normal circumstances wearing face mask violates the condition of ihram, unless allowed for severe exceptions. Why put our hajj at risk if you can take some time to look your health during these crucial days. Once the Hajj days are over, our eyes long to see the majestic light shinning over the Green Dome and to be present in the city of the Holy Prophet. However, in between there is another worry covering the mind of the pilgrim: SHOPPING. Larger the family, bigger the problem. Specially when you are in Madina, most of your time would be spent on buying gifts for your loved ones back home. Of course, you don't want to disappoint anyone and of course, its sunnah and good manners to give gifts to your family members, relatives, and friends but it must not be at the expense of your ibadat – your worship. 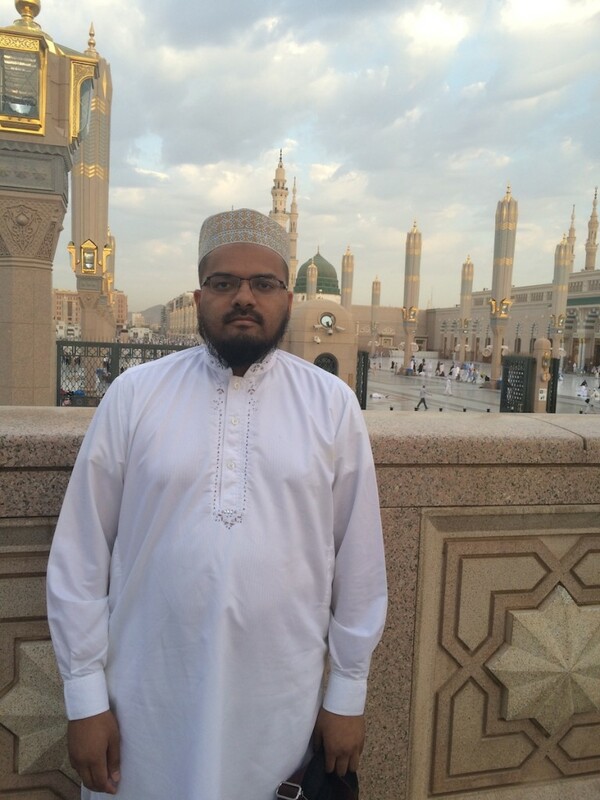 Its a life time opportunity to be in Makkah and Madina. Lets makes use of this time and spending more time in the masjid than in shopping malls. Lets face it. Most of the items that people get from Saudia are from China and readily available in other countries. Lets not carry so much weight from Saudia. The best gifts you can bring from Hajj are Zamzam, dates and attar (perfumes). These are lightweight and blessed items. People over-buy the items and run over their luggage limits. During the last days in Madina overarching worry is how to take their shopping back to their country. They will ask their fellow Hujjaj if they have any space left in their luggage and receive the answer in negative. The person being asked the question will be in similar situation to the questioner. Some pilgrims also cargo their shopping back to their country. All this situation reminds a Mu'min (believer) of the scenes of the day of judgement when we will be carrying our load of sinful activities and we would be looking for someone to share our burden. A day when our parents, children, friends and all our wealth would abandon us and only good actions, charity, righteous company and intercession of holy prophet would come to our rescue. May Allah Almighty protect us from any calamity on the day of resurrection and grant us the company of righteousness. Relatives back home can also play their part by frequently reminding the Hujjaj that they do not expect nor want any gift on their return except duas, zamzam and dates. Relatives can also remind the Hujjaj that their primarily role of going to Hajj is to please Allah and His holy Prophet Muhammad. May Allah accept our Hajj. Aameen. This entry was posted in Islamic Articles. Bookmark the permalink.